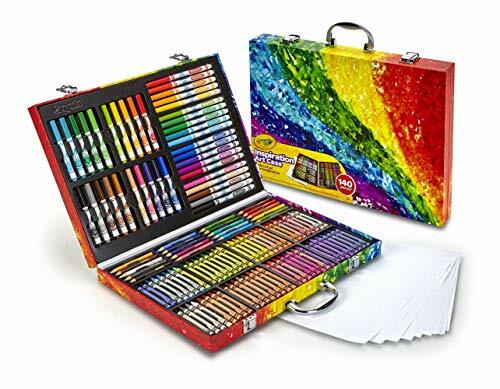 Check out this HOT deal on this Crayola Inspiration Art Case: 140 Pieces, Art Set, Gifts for Kids, Age 4, 5, 6 Priced at only $16.00 was $24.99. Ships Free with Amazon Prime! DRAWING AND COLORING SET: 140 creative essentials for drawing, coloring, and crafting on the go. CREATIVITY UNLEASHED: Spread colorful possibilities with a vibrant collection of art supplies for kids, which they can travel with on all their adventures.